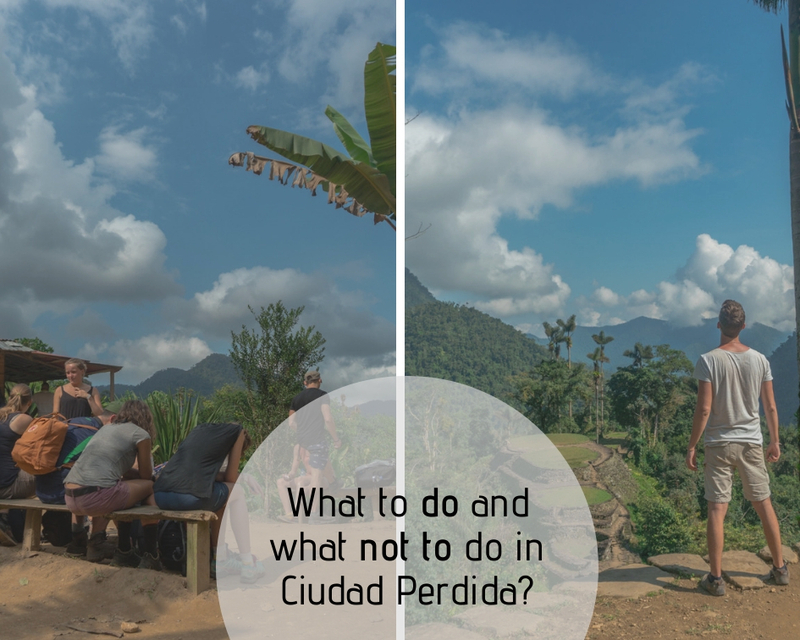 What to do and what not to do in Ciudad Perdida? During your tour in Colombia, you can’t miss the Ciudad Perdida trek. Me, Maaike, owner of the blog Travel a Lut made a trip with Magic Tour Colombia for four days. I would like to tell you what you must do and what you shouldn’t do with respect to the walk. What you definitely have to do! There are several things you should keep in mind before starting the trek. Which ones? Pay atention to this lines, you’ll read that here! It really helps if you read in advance about how Ciudad Perdida is, so that you don’t take any important information unnoticed. See the different day programs so you can establish the number of hours you will walk. You always walk with several guides during the tour and perhaps also with a translator in Magic Tour. Of course, it’s nice to walk with the group, but it can also be nice to walk a little faster or slower when you’re ready to do it. As there is always a guide on the front, someone in the middle and someone behind, you can walk at your own pace. That way it’s much easier, like the rest of the group you’ll see them at lunch or dinner again. 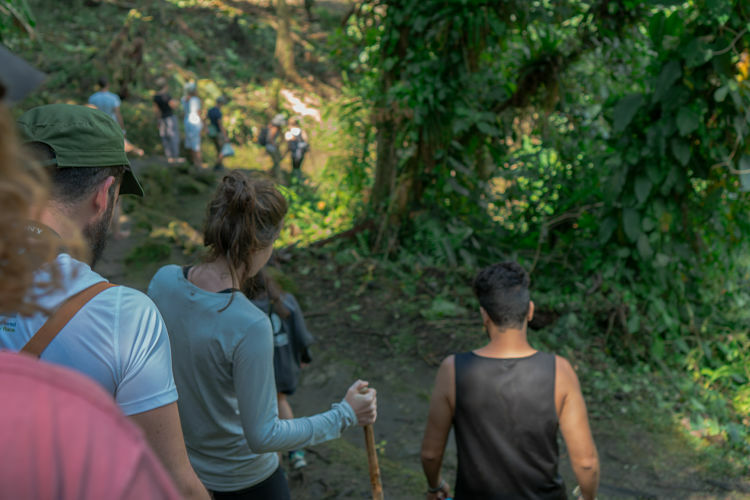 The beauty of the walk of Ciudad Perdida is that you walk through different rugged landscapes. You go up a lot and go down also. Sometimes you have to cross small streams and the chances are very high that you end up under heavy rain, so all the paths are transformed into mud roads. 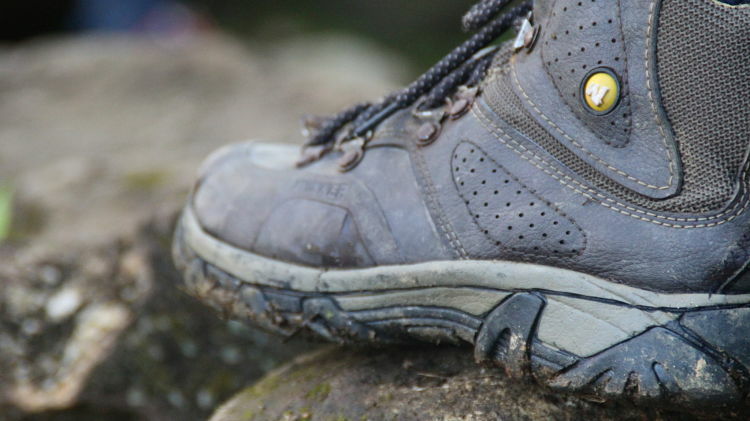 The high mountain shoes are therefore highly recommended, you have much more grip and you can go on and on. If you arrive at the end of the afternoon in the camp where you have dinner, you bathe and sleep, then that is a reason for a small party, the day is over. In each camp you have a store where you can buy a cold soda or a refreshing beer. Therefore, it takes a little cash, since credit cards are not accepted by the natives. Also on the road during the tour you will regularly find stalls selling water, soft drinks or a fresh fruit juice. Most drinks cost 5.000COP. The area where Lost City is hidden in the Sierra Nevada can be quite warm in. Especially during the inevitable escalation you have to make a great effort. Anyway, you sweat, so accept that. Do not bring your best clothes with you, because after twenty minutes of walking, you are usually completely sweaty or completely wet. Fortunately, you regularly have the opportunity to cool off in a beautiful stream or under a noisy waterfall. You can also enjoy a cold shower to rinse all the sweat and take out the mud in each camp. 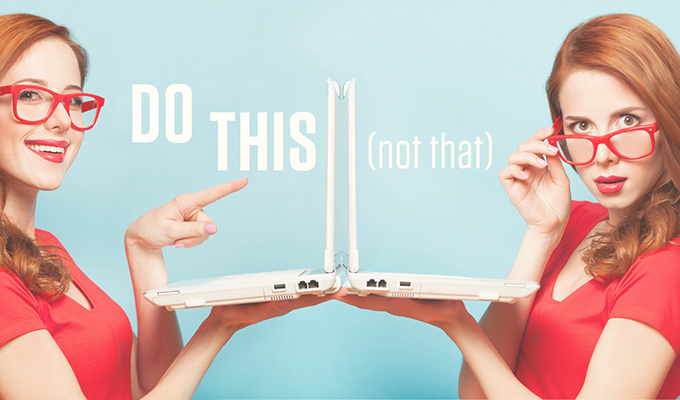 What you definitely should not do! And, of course, there are several things that it is better not to do. Below are some useful tips. 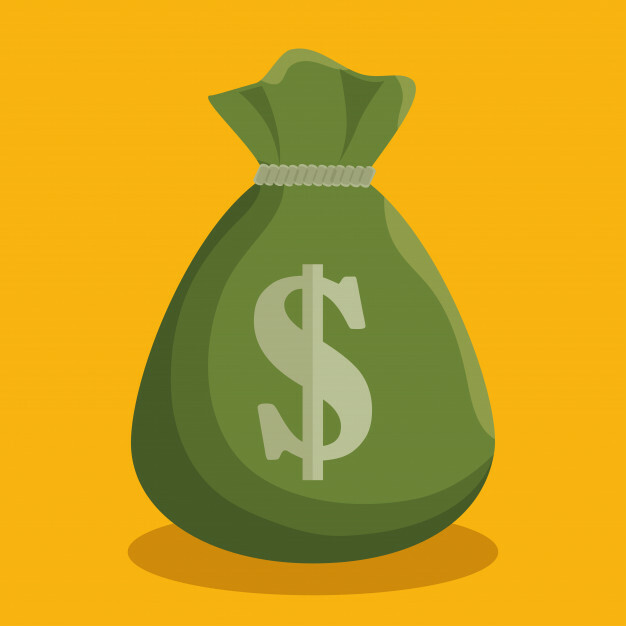 Check it out my article here to see what you should take with you. I regularly saw people with huge backpacks struggling and walking uncomfortably through the mud during the trek,. 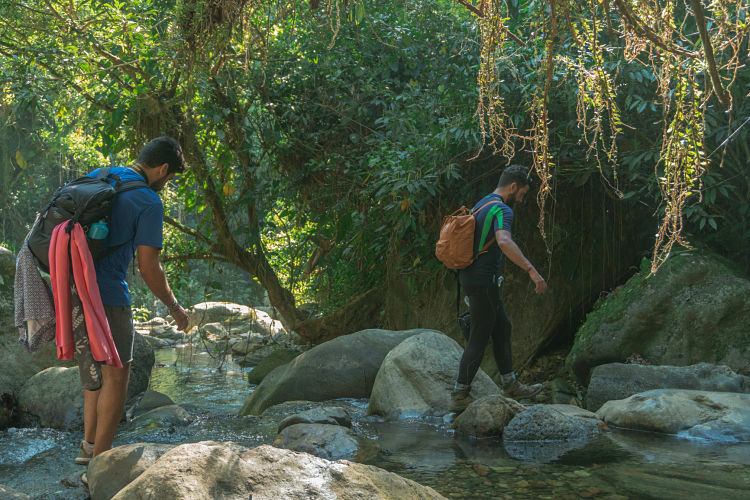 You really don’t need much for a 4-day trek. The less you take, the easier it will be. 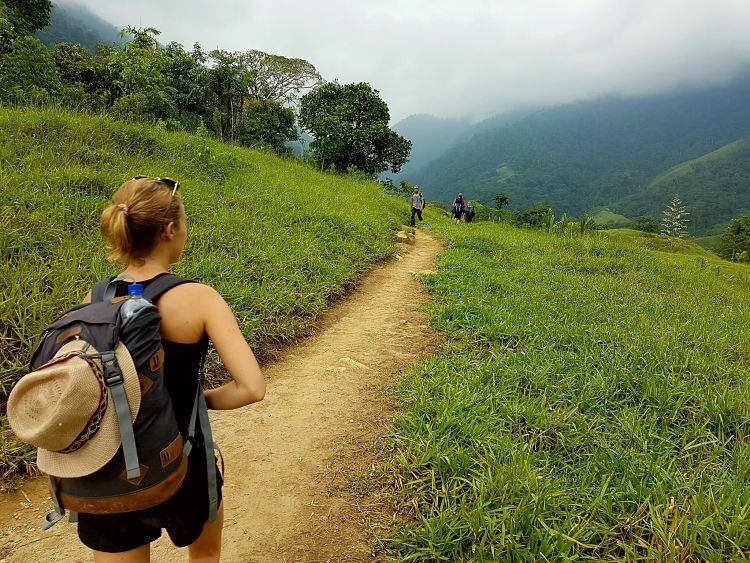 The group with which you are going to make the trek of Ciudad Perdida will undoubtedly be formed by enough pleasant adventurers of different nationalities. Have a beer together, play cards, but don’t go to sleep too late. . You woudln’t want to start a hangover the next day. Most people sleep very fast after dinner because they are exhausted. Rest well and immerse yourself in your hammock or bed. Maybe you’ve never trek 4 days before or you’re not a walker. Don’t worry, you can enjoy the best views while walking and you will always find someone with whom you can talk as a distraction. In addition, the day is also divided into several parts. You start with breakfast, then you walk to the fruit stand. After the fruit stop, you walk to the camp where you go to have lunch (and maybe swim). Then, you walk to a fruit stand and then continue to the camp where you have dinner and spend the night. Therefore, there are enough moments of rest. 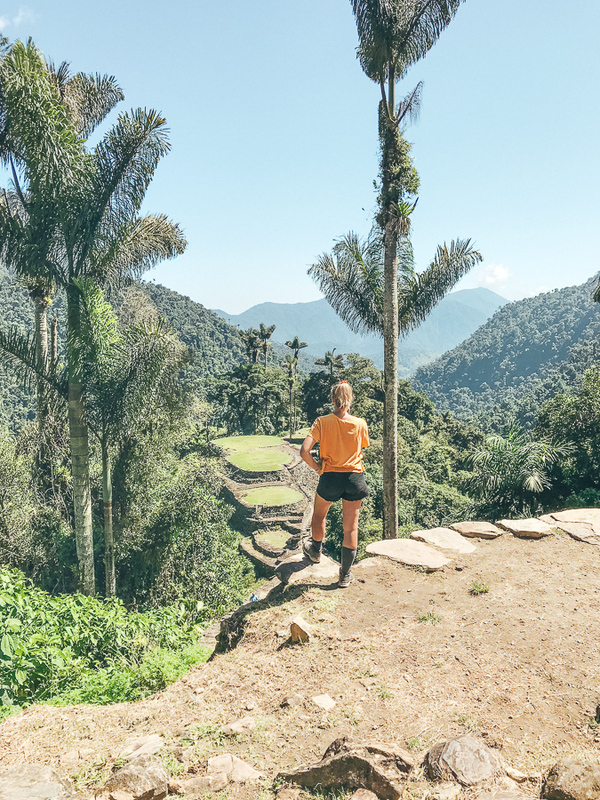 Don’t think that Ciudad Perdida is the only reason you do it. 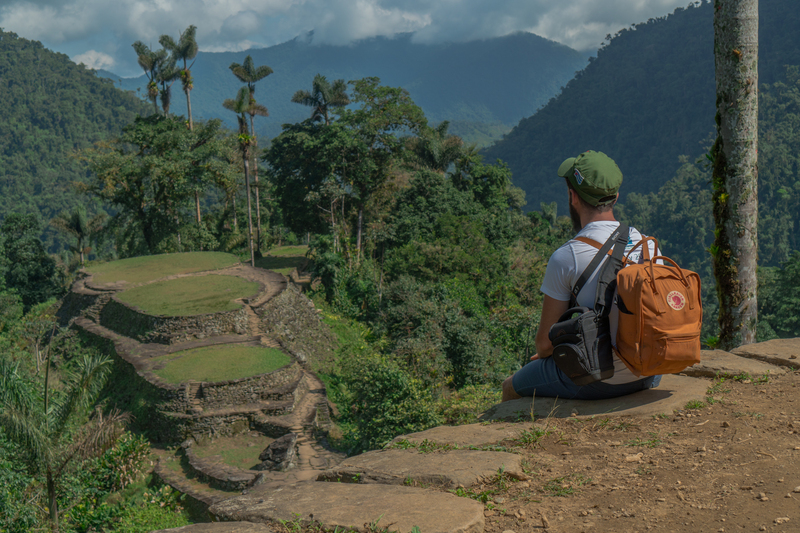 Of course, achieving the ultimate goal “Ciudad Perdida” is a great moment. You’ll have an interesting trek and you’ll learn pretty more about history here. 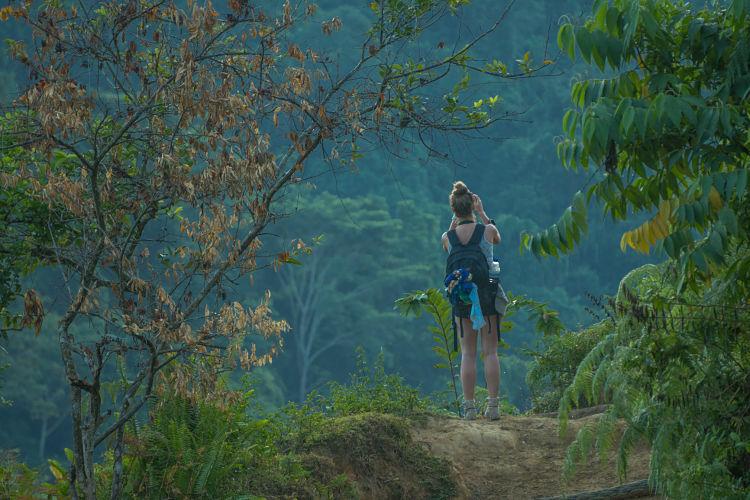 But the trip or the selfie in Ciudad Perdida is only a small part of this 4-day adventure. 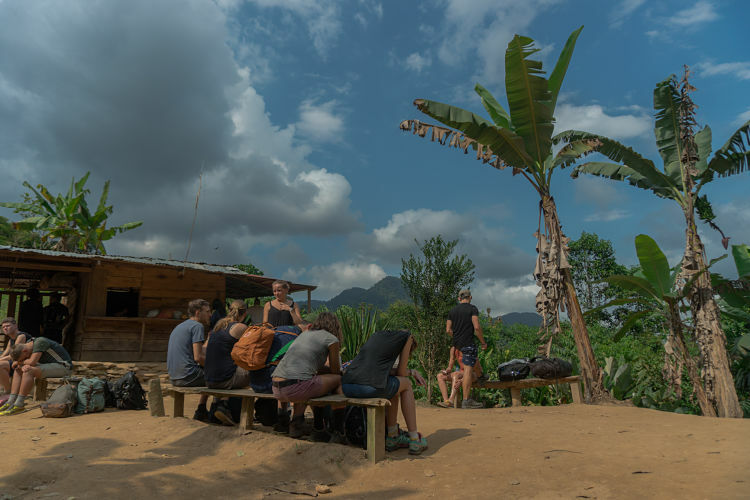 The treking, the coexistence that the group provides, the overnight stay in camps in the middle of the jungle, the delicious food and the physical challenge are as important as part of the adventure. This article was written by travel blogger Maaike Lut. Follow her on Instagram like @travelalut to see beautiful photos of Colombia and a pinch of inspiration to travel. Don’t forget to visit his page and discover what you can not miss in your trip through Colombia!